Need a bell push on the back door? A receiver in the garden? A motion sensor on the garage? 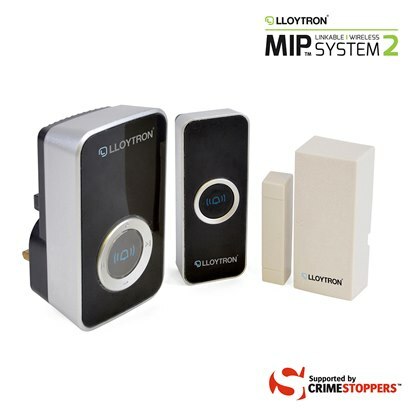 The MIP System is more than just a doorbell: with the ability to purchase and link up to 16* different devices you can create the perfect alert system for your home or business. Add a magnetic sensor to your shed door for security. Add an additional bell push to the back door or out building. Make a wired bell system wireless or the with an original ornate bell push. Add additional receivers around your home. Add a motion sensor to your garage to detect movement in your property. Add a portable receiver for when you’re on the move or in the garden. Add a magnetic sensor to your shop door or storeroom. Add a bell push to the entrance or reception desk. Add a signal booster to extend the wireless range, ideal for warehouses. Add additional receivers to notify you in the office, storeroom, warehouse etc. Add a motion sensor to the entrance or car park to detect movement. Add a portable receiver for when you’re on the move around the business. Home burglaries are steadily on the rise across the UK, and many properties do not alarm their sheds, garages and outbuildings leaving them vulnerable to theft. For those which are alarmed, the alarm is likely to only sound outside of the home, leaving it very faint or inaudible to those inside and they may be unaware of the situation. Add a PIR Motion Sensor or a Magnetic Door/Window Sensor to your shed, garage or outbuilding to alert you, inside the home, when movement is detected at your property. These sensors will link up to one or more Chime Receiver around your home. Why not add a Chime Receiver in the outbuilding too and set it up to play the ‘stop thief’ message to help deter any thieves. Check the current selected melody. Bell push and door chime communicate wirelessly. Perfect if you need the chime to be quieter. Impressive range to be placed anywhere around your home or business. No need to change the batteries. Flashing strobe light ideal for the hearing impaired. You can link these transmitters to any MIP products. 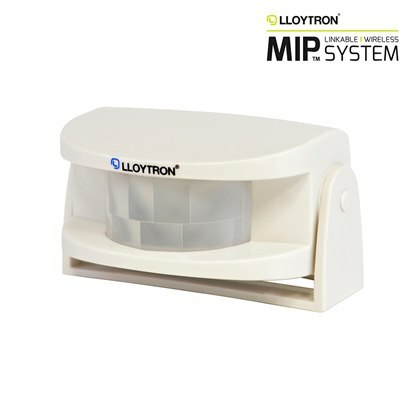 MIP™ system is a unique technology exclusively designed by Lloytron which enables you to link any receiver, transmitter or sensor to create your perfect combination expanding the system by adding further modules. 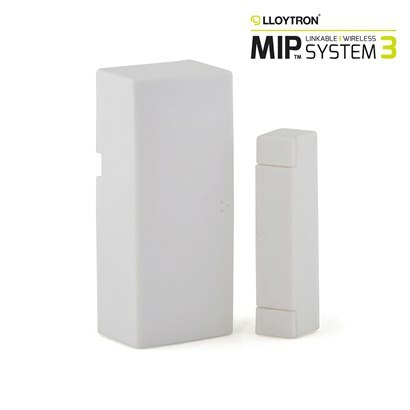 In this way the MIP™ systems use can be expanded well beyond a basic doorbell and into areas such as security and safety.